Lonely Hedgehog hears that there is "friendship" out there and goes in search of a "Friend Ship." She meets others along the way who would also like to find a friend and they join her on her search. Hedgehog eventually realizes where the Friend Ship is and the friends are off to celebrate. 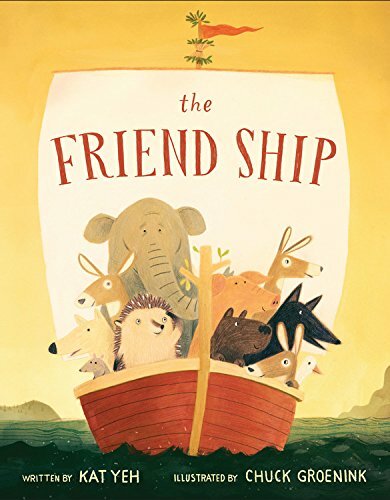 This is a sweet, warm story about friendship and discovery what has been there all along. One of my most borrowed holiday books this season was Rose's Merry Christmas, Squirrels! My students are intrigued and amazed with the photographs that feature real-life squirrels acting like humans. In this Valentine story, Mr. Peanuts is lonely and wishes for someone special to celebrate with. I appreciate that Mr. Peanuts is a book lover and finds his someone special in the bookstore. There is definitely a creative use of photography in this picture books series. There is as much absurdity and nonsense in this book as in the first Dog Man. I have a list of readers still waiting to read the first book and those who have already read it are eagerly anticipating this second book. I am sure they will find it just as hilarious as the first. 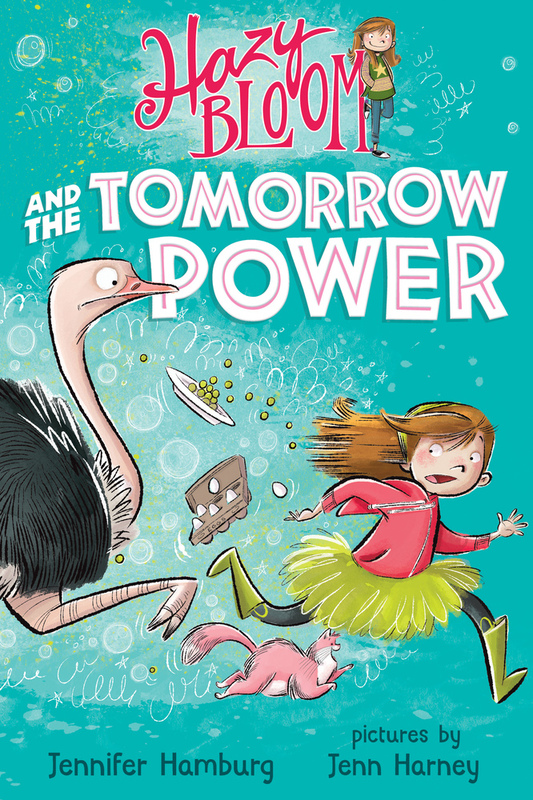 Hazy, a third grader, has "tomorrow power" which enables her to see visions of what will occur the next day. These visions only offer clues as to what is going to happen and because Hazy misinterprets them she finds herself getting into trouble. Hazy is a fun character - spunky and humorous. The silly predicaments she finds herself in are amusing. This is the first in a series and I look forward to reading more about Hazy's adventures. Gregory K. feels that homework takes up too much of his time and is not enhancing his learning so he decides to go on strike. He must keep his grades up and get others to join in his cause while trying not to get in too much trouble with the principal. Gregory shows that getting one's voice heard and making change is not always easy, but is possible. Every chapter begins with one of Gregory's poems which are amusing and funny. I think many of my readers will relate to Gregory's distaste of homework. Jack Sullivan is living in his tree house after a monster apocalypse has hit his town. Most everyone has escaped or turned into zombies except Jack and a few of his classmates. Jack and his friends must work together to survive. There is plenty of action, silly humor, and interesting illustrations. My preferred reading usually does not involves zombies, but I know many a reluctant reader who will be drawn to this type of book. I've got to admit, I'm really intrigued by that squirrel book cover too! How in the world does Rose get squirrels to be still long enough to snap a clear photo? I'm going to have to look for these books. I picked up The Homework Curse at NCTE--looks like one my son might enjoy. I'm pretty sure he could get behind a homework strike--as could I! Homework is a pretty relevant topic. In my district we've been considering homework policies and beginning conversations about the purpose and effectiveness. I had picked up The Homework Strike at NCTE, as well. I'm slowly working through the ARCs I brought home with me. The author has a previous book about the same character which I've never read. I think it's called The 14 Fibs of Gregory K.
Hi Lisa, I purchased Dog Man for my SN nephew. He was so excited by it that he planned to take it to school to read with his support worker! I have to remember the sequel for next year. Like other's before me, The Homework Strike looks interesting. 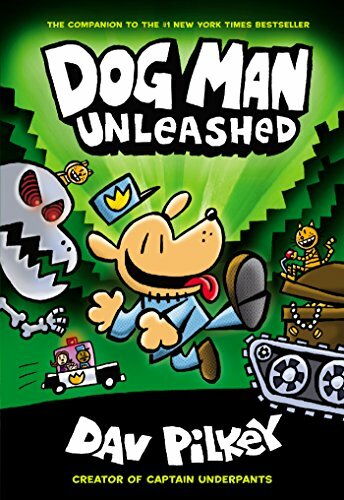 Dav Pilkey definitely knows how to write stories that appeal to kids! I have a few of these books on my TBR! 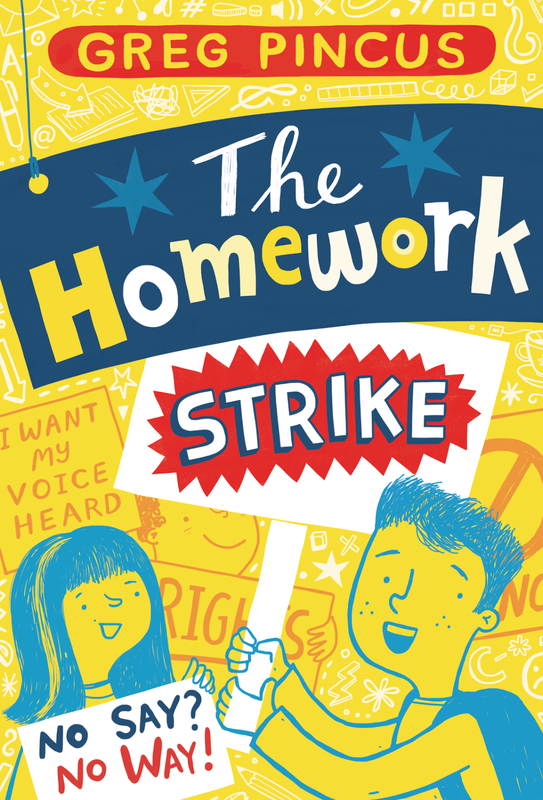 I didn't get to The Homework Strike in time at NCTE, but I believe it arrives in the mail for me tomorrow! I liked The Friend Ship, although I was slightly confused with the ending. I wanted a big ah-ha moment. I'm still working through the stack of ARCs I got at NCTE! Some really fun books! Real life squirrels and a zombie apocalypse! Lots to draw in readers. 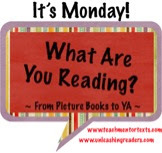 Love books like these that hook reluctant readers! 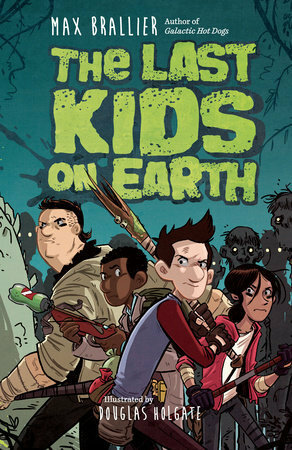 The Last Kids on Earth was super popular with with kids at my library - a great blend of action, light horror and plenty of humour. I'm glad we have such variety in the books we can offer young readers these days!! I gave The Last Kids on Earth to one of my boys who "doesn't like to read" and have not gotten back. Hopefully this means he likes it! The Homework Strike looks like one that a many kids...and families...can relate to. I am definitely intrigued by Friend Ship and The Secret Life of Squirrels - will be on the lookout for them.